The main convening room of the Akatsuki. Sometimes they go to sit or hold meetings. Slowly and silently Pein made his way into the main room of the Akatsuki lair. It had been a while since he'd been here, and the Akatsuki had been laying low. It was about time to make their presence known once more, to let the villages know they wouldn't just disappear. This land would grow from pain. It is as his master had taught him. Knowing pain allowed the children to grow up into adults. That's what this world was. A child that needed to be taught the lesson of pain. That's what the Akatsuki stood for now, and that is why they were now collecting tailed beasts. This world...Being the god that he was...He'd wipe it out and make a new one. Actually Pein wouldn't even have to lift a finger to get the world to that point. He'd use the Akatsuki members to help him collect the tailed beasts, and from there he would create the ultimate forbidden jutsus that would get the nations to destroy each other. All while he himself and the other members of the Akatsuki sat back and waited for the proper time to mold the world into its grown and complete form. The one where there would be such a thing as peace. "I think it's time we have a meeting." His voice was deep and husky, but his message had been sent. The members would be gathering here. Our world is still in his infancy...but the hand of god has come to guide it down the path of maturity. But someday I'll break the curse. If there's such a thing as peace, I will find it! Cahan arrived to the entrance of the hideout and stood outside for a moment. She'd gotten the message from the man they called "Pein"...She wouldn't even consider him a man though. Cahan knew who and what Pein really was though a lot of the Akatsuki members didn't know what she did yet. She'd been around when the group had originally been founded, and so she didn't really want to be the first to arrive, and that's why she hesitated outside. She had hoped that she wouldn't be the first there. Casually she tucked her chin under the collar of the cloak so that her mouth was hidden away and slowly stepped into the main room. It had been as she'd feared; she was the first one to arrive. Silently she took her place and stared at Pein with a sullen face. Calmly walking into the base of the Akatsuki Hideout did Itachi simply look ahead with a calm but blank expression over his features. As he entered the Main Room did he notice that Cahan had now just walked in and he silently made way to his seat with no emotion etched on his face. Itachi knew little of what this meeting will be about but he did not seem to care if it was old or new information. Any kind of information was good in the eyes of Itachi who had left his village to become a member of the Akatsuki. Itachi calmly sat down with no more words or actions noted as he sat there with his right arm in his Akatsuki cloak as a rest while as his other arm made home in his lap as he silently waited with a blank expression. Akira had walked in right behind Itachi and the room was very silent. As Itachi went to sit down Akira looked over to see two women and a man. He must be the one they call Pein she thought to herself because to tell the truth she had never seen his face but only ever heard his voice. The one next to Pein must be his partner considering how close she was to him. She didn't exactally know who the other person was but she would most likely figure it out. "Hi everyone." Akira said this everytime she walked into a room of people. She didn't exactally know if she was supposed to speak or not but she did anyway since she just loves to talk and the room seemed dead. Pein's eyes fell upon Cahan. It seems that she was the first here, and she seemed rather unhappy to see him. Who would be unhappy to see a god like himself? That's what he wanted to think anyway, but deep inside he had a good understanding. After all he'd known Cahan a long time. He stared at her with his Rinnegan for a few moments, and as he heard Itachi entering the room he spoke up to her, "Cahan...Where is Gweneth?" 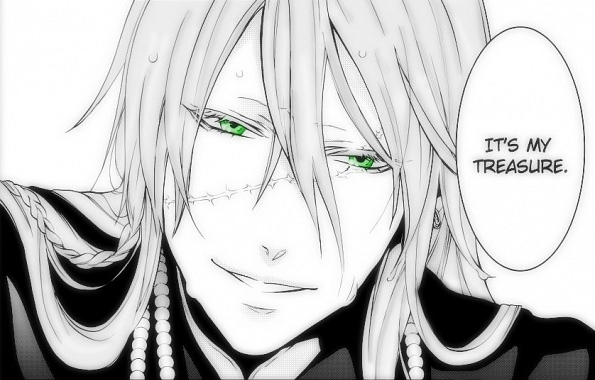 His lips fell into a fine line for a few moments before speaking once more. "No matter. We don't have time to be waiting." A voice caught his attention and his eyes moved to the new woman who stood among them. A face he hadn't actually seen, but he knew of this woman...This Akira, Itachi's partner. Silence met her for a moment before he spoke and addressed all of the beings gathered in the room. "This world is awaiting its maturation, we've been silent for far too long. What we need to do is make our presence known once more. The great nations will not forget us; they shall fear us, and learn through the pain we will bring them. They've hidden the tailed beasts well...It's up to us to find them and capture them. Intel, a bit of chaos...Whatever you might decide. This child of a world needs to be reminded that it is just that. A child that needs to learn." Cahan actually flinched when Pein had addressed her. That voice grated on her nerves, and those eyes and the expression didn't match the face that they were on at all. Her eyes narrowed just slightly though her face was still rather sullen other than that. He dismissed his own question, and that left Cahan in the clear. Her eyes traveled over the new face in the room. It must have been Itachi's new partner. 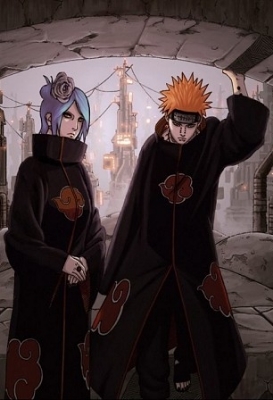 From there she glanced to Itachi himself, and finally her eyes worked their way to Konan who she decided to focus her attention on, though Pein's words didn't go unheard. Silently he sat and taking notice that Akira spoke did he not do anything as he continued to sit there and listen to Pein. The words he spoke seemed to gain Itachi's interest though there was little to nothing showed on his face as he calmly sat there. Itachi blinked normally though no words or movements were made despite his eyes doing their normal routine of blinking. There was not much on Itachi's mind for he soaked up Pein's words and did nothing to show that he was for or against it. Itachi's eyes were looking to the man but like always his face was emotionless and his body was stiff, the only signs of life was the fact that he was breathing and blinking. Akira looked around as everyone in the room turned their heads to her. 'They ignored me. I guess it would be best not to say anything,' she thought this to herself. 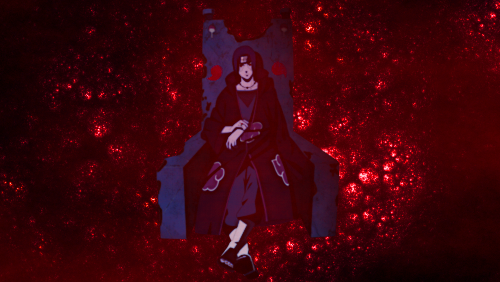 She stood close to Itachi's chair but far enough for him to have his own space. She listened to Pein and knew that she was going to have some fun pretty soon. She liked Peins beliefs so she kept her eyes glued to him and didn't miss a word. This was probably the first time she hadn't talked with so many people in one room. "I want you guys to teach this place a lesson." Pein's eyes moved across each of the members in the room; including the woman that stood at his side. Now returning his eyes to forward he spoke once more. "I know this meeting was short, but I've said all that I have wanted. If any of you need me I will be overlooking my village, just as I always am." He turned then and began walking, muttering silently to Konan as he started to walk, "No one shall enter my village without me knowing." He turned his eyes forward and continued out of the main room with Konan on his heels. A fine line was all that Cahan's lips consisted of. This wasn't the group she had originally joined. The group had originally been about finding peace; but now they were planning to force it. Even so...If she could reach the goal of bringing about peace it was better than nothing, even if she had to deal with this "Pein." Not exactly wanting to be rude Cahan didn't stand up and leave, but rather her eyes followed after Konan as the woman followed Pein out and then she moved them over to Itachi and his partner. Itachi simply sat there with nothing to say or do, rather he watched Pein leave and all he could do was shift his eyes to Cahan who had moved over toward him and Akira. Not much of a man who speaks a greeting did he simply nod before glancing back to Akira with no emotion over his face. Itachi didn't say anything while he looked at Akira but usually his partner would voice out what she wanted to do. Silently he returned his eyes onto Cahan and all that he did was look forward with little indication on what he was thinking about. Akira had watched as Pein left just as everyone else did. She kept her glance there not noticing Itachi looked her way. They as she looked back to the two left in the room she noticed their stares. "So, I guess your not much of a talker either," she said. Akira still looking at the two gave a little sigh. "Do not worry...I shall speak should I be spoken to, and should you require my attention...You shall have it." Cahan spoke up though her face didn't change much from that sullen look that it held while Pein had been speaking. The being that looked almost exactly like a man had a voice that betrayed the looks. Her voice is really what gave away the fact that she was a woman. Most people always assumed Cahan to be a girly looking man. With a light sigh she rubbed at the large scar that crossed over her face before allowing her eyes to meet directly with Itachi, letting them linger there. Itachi silently watched Cahan and Akira with nothing to say. Rather, he was thinking about what the meeting was about and how he should feel on it. Though, his face showed nothing he could feel nothing for what Pein was planning. Itachi noticed Cahan's eyes staying on his and all that he did was blink once before simply closing his eyes and turning his head away. It was nothing against Cahan, he just figured that she wanted to talk to Akira. Not once does his face give him away for he still looks void of anything, and it stayed that way when he opened his eyes to glance back at Akira. Akira looked at Cahan, "Oh so you do talk I just thought you were like Itachi considering all the stares..." Akira cut straight off like it was the middle of her sentence. Then she smiled a little. "So you are a woman! I thought you seemed like a woman but then again you looked sorta like a man... Oh I'm sorry I shouldn't have said that..." Akira kept speaking but she knew pretty soon she would be cut off by someone. Cahan flinched as Itachi broke the gaze and Akira started talking a mile a minute. How irritating! That man left her to deal with this woman. She was a lot like Gwen, but she could handle it when Gwen got like this since she was rather easy to silence. A light sigh passed between Cahan's lips. She'd definitely need a rest after this most likely to be one-sided conversation was over. "There are reasons for my looking like a male." Cahan's eyes searched out for Itachi's once more. He couldn't ignore her gaze forever. Itachi calmly sat there with his eyes now averting away from Akira who was rather surprised about how Cahan looks like a man. It was certainly humorous though he showed nothing about laughing or thinking it was funny. Void as always did he feel like he was being watched and he knew who it was which was why he closed his eyes and kept them closed. Akira needed to know the other members and settle on in with them, he knew she could do this for she was skilled enough to tolerate him. "Oh ok. I thought it was just me or something..." she stopped for a minute realizing nobody was looking at her and that she was probably being ignored. So, instead she just stood there looking at the floor. She felt like she was intruding or something. Every now and then she would look up at the two. It was clear to Cahan that Itachi was still ignoring her, and that was frustrating. Though she wasn't looking at the girl Cahan had still been listening. "No. It's not just you. Many are fooled by my appearance." Fine. She got the picture. It was rather clear to Cahan what Itachi was trying to do. She'd humor him for now, though she swore she'd smack the man if he mentioned something about her being talkative at a later point. Swiftly she pulled her gaze from Itachi to Akira and stared at her with the sullen expression before parting her lips to speak, "You're new here, so I'll introduce myself, but don't expect me to keep reminding you who I am. I'm Cahan. My Partner Gweneth isn't here right now, but she's been known to disappear for a few days." She tilted her head to the side and mumbled more to herself, "Probably off having a "good time" with some other people or something." The statement wasn't meant for the fact that she didn't trust Gwen, but that she got rather lonely and sad when the woman left her alone for too long. Quickly she returned her gaze to Akira once more. "So tell me...What can you do?" Itachi felt mentally happy but it was unclear what he was happy about, perhaps he was thinking back to the books he had read and that this kind of situation was similar to it. Maybe, it was cause he knew that Cahan was getting upset with him since he could feel it and how she sounded when she spoke. Itachi simply opened his eyes lightly and fully looked back to Akira though he said nothing to her. Observing the situation he merely kept his eyes on his partner as if seeing how she would react or what her expression would be. Also, he knew that after they leave he wanted to say a few things to her and how she thought of this day and meeting. It would be explained later on if not going into the night once he returns to the Uchiha Hideout. Akira looked to Cahan somewhat surprised she was speaking but she could tell Cahan was upset. 'What was Itachi thinking?' Akira saw from the corner of her eye Itachi looking at her. Akira listened and said, "Oh don't worry I won't forget. I'm Akira." The she repeated the question "What can I do? Well I can make any water explode no matter where it is. So, I can even make the water inside your body explode but I mostly use outside water or else it would be no fun." Akira said this with a smile. It almost looked as if she was happy to tell Cahan this maybe even a little too happy. In the back of her mind though she was actually thinking about What Itachi would make this woman talk to her. "Water...Explode?" 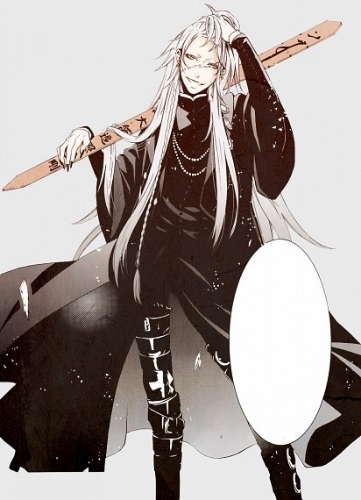 Cahan looked at Akira curiously, but only for a moment before she casually reached to her side and pulled out a kunai. "I suppose...That could be useful." Swiftly after speaking she cut her hand open so that blood started to run down her palm, and with a quick flick of her hand a shuriken made of blood flew past Akira's head, getting close to her face but not close enough to cut her, before sticking into the wall behind her. It sat there for a moment before reverting into its natural form and slowly started to drip from the tiny hole in the wall. "I do that." Itachi calmly continued to watch and observe how these two got along and though he had no emotion on his face, he could not help but think that they were bonding. It just appeared that their bonding was different from others who bond, not that his face gave anything away and so he finally blink and glanced to Cahan as if acting normally which in truth he did go back to normal. In the deepest part of his mind he knew that she would try to get him to look at her. Itachi didn't know how to feel with that but they were together within the Akatsuki which meant they may as well get to know eachother as well as work together in a odd manner. Akira however was doing good and he had to make note that he must word with how impressed he was with his partner for Cahan was some what hard to talk to at time much like how he was always hard to talk too. It mainly of course depended on the topic or if he wanted to share a few things with people with little to no emotion evident in his voice. Akira looked at her for a moment. Was it really that hard to think of water exploding? She thought about it for a moment. Since it was her Kekkei Genkai and water didn't usually explode she started to see how it was odd. She was listening but not paying much attention. As soon as she looked up something flew past her head. Akira turned to the wall to see a Red Kunai turn into blood. "Well isn't that lovely." She said satring at the blood dripping from the wall. "I hope it doesn't stain anything. Someone should probably clean that up. You should probably cover that hand too before it gets infected." Akira hadn't realized she was even saying all these things out loud.